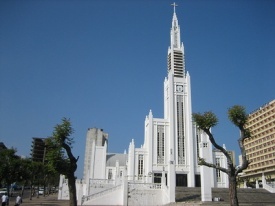 Maputo is a seaport on the Indian Ocean and the capital of Mozambique. As such, it is a melting pot of several cultures with strong influences from South Africa, Portugal, India, and China. For more information about these cultural influences and Mozambican history, stop by the Museum of the Revolution, which chronicles the 10-year war for independence from Portugal. Also, tourists should not miss the Central Market, a hub of activity with all kinds of goods, including handicrafts, baskets and carvings, fruits, vegetables, and seafood.